With all the buzz and commotion of the new iOS 10 from Apple you would begin to think that they’ve taken their eye off of what was once their flagship product, their desktop and laptop range of computers. 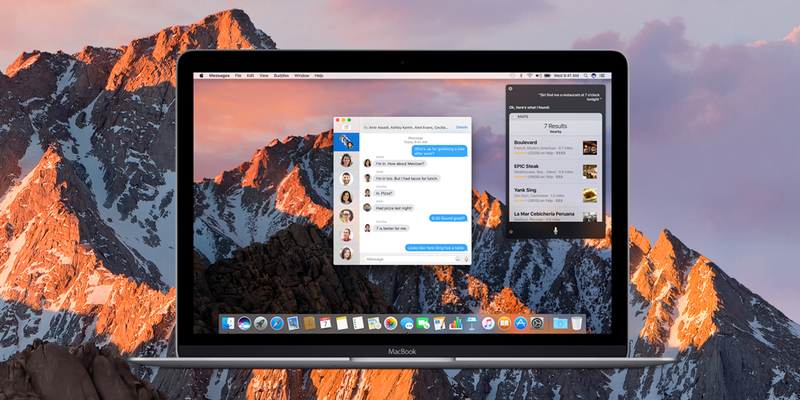 But as of today they have truly brought their Mac system up to date and more in line with the features and functions that their mobile operating system has been sporting for the past year or so. They’ve decided to drop the numbers from the name of the new system, simply calling what would have been Mac OS 10.12 the name ‘Mac OS Sierra’. Here at iCloud Login we’re very excited about the new version as it’s jam-packed with new features and improvements. 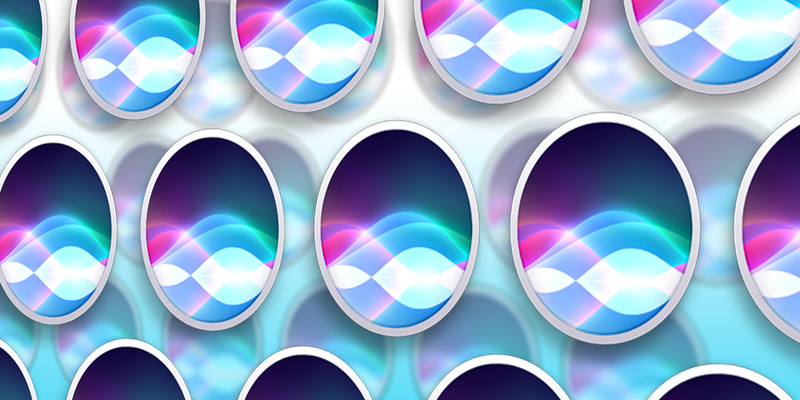 I guess the first thing that everybody has been awaiting the arrival of is the inclusion of Siri to the desktop. The Siri virtual personal assistant was launched on iOS devices way back in 2011 (wow – that long ago? ), and just as with the mobile version, users simply command Siri and ask it questions with their voice. The brilliance of the desktop version is that it opens up a huge range of additional options such as file searching, storage inquiries and the ability to toggle settings on and off. A cool feature is Siri’s ability to respond to complex requests such as, “Show the files I worked on last week on the XXXX project.” From there, users can narrow down their search based on tags. The virtual assistant can now access other parts of Mac OS including applications like iTunes, effectively making her your personal DJ. And also the Safari browser, allowing it to act on web searches. Siri can also do things like search through Photos, set reminders, initiate FaceTime calls, and more and it’s going to be interesting to see what third party developers will be introducing over the coming months. Photos has had improvements made along the lines of how it’s been re-organised in iOS 10. Computer vision and new deep learning algorithms means the app now recognizes people, places, and things in images using facial, object, and scene recognition. This information then allows the app to group images into intelligent collections to help you find that image more easily. There’s a new “Memories” tab that creates curated collections of your past photos and a new “Places” album for displaying all photos on a world map. Messages has been greatly improved also along the lines of the updates that are in the new iOS version. Unfortunately not all the features of the latter are available in the Mac OS version, But it does have the Emoji, Rich Links, and Tapback features. It can view the other features sent from an iOS device. A definite improvement for messaging! 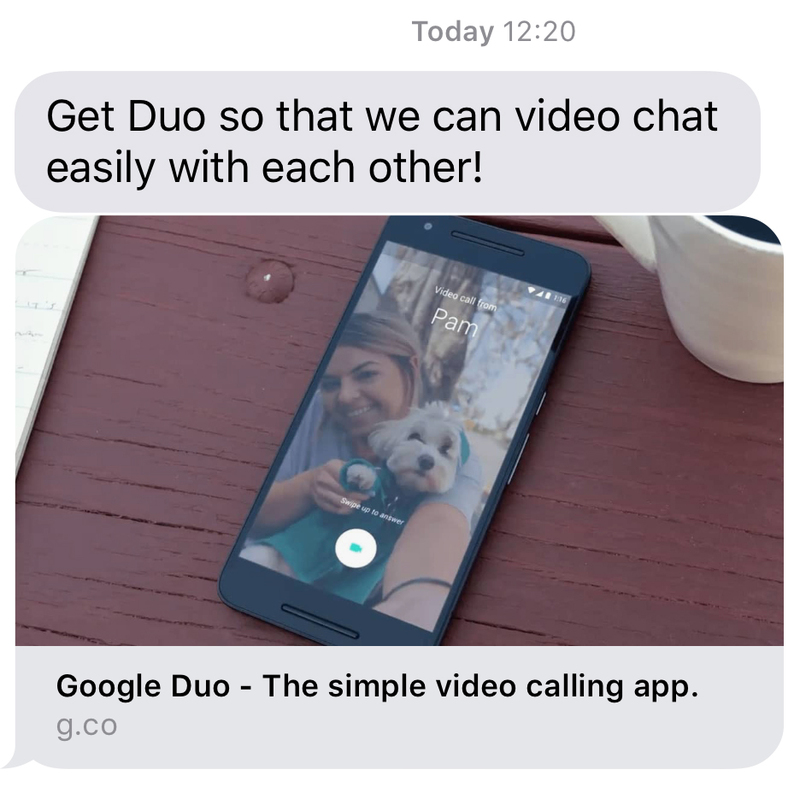 Here’s a look at the two of the new messaging features. Sending links has become easier too. When you place a link into a chat you will now be presented with a large image and the link which you can just tap to open in your browser. Skype has had this a while, giving the user a better visual representation of the content you are trying to share. This feature I love. Allowing you to communicate a simple idea quickly? They’re not unlike the emojis we’ve all been using, but they’re quicker and also more limited. 1. Tap on the message you want to Tapback. 2. Select the Tapback you want to use. This row of Tapbacks will appear. The Tapback you’ve selected will appear on the message you chose to address. Mac OS will be getting picture-in-picture video. This feature is perhaps the opposite of a productivity tool, making it easy for you to distract yourself from the work or study that you should really be getting on with. Despite not being a huge addition in its own right, this demonstrates Apple’s continued focus on parity between MacOS and iOS. iCloud is now going to be utilised as a way of increasing your local storage space. 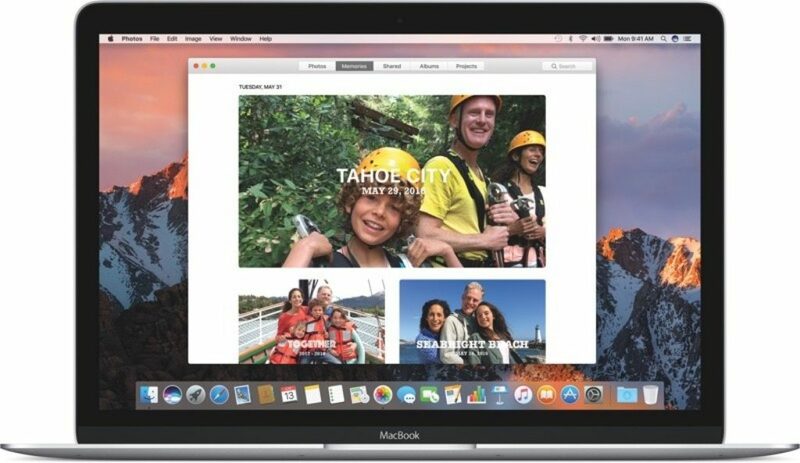 Sierra will now push rarely used content up to the cloud, leaving plenty of room that needs to be accessed quickly or without an internet connection. Deeper iCloud integration of your content will now make all of the files stored on the desktop or the documents folder of a Mac available on all of a user’s devices, including other Macs, the iPhone and the iPad through the iCloud Drive app, and via the web through iCloud.com. This is one way of guaranteeing your content is safe too! Articles on the web today are starting to point out that this new feature is a bit of a mess. It seems to echo the problems initially encountered with iTunes and Apple Music, when they organised your personal music collection. I personally would refrain from using this feature until this is a better organised system. Best to just back up the lesser used files yourself. More on that story here. I love using Apple Pay. This has been great when shopping from your iPhone as the system is integrated in your mobile device. Now you can start using Apple pay on your desktop, so when you’re shopping online and see an Apple Pay button, you can click on it to pay. You’ll still need to use iPhone, as Apple Pay on the Mac uses the iPhone’s Touch ID to verify your ID to purchase, or you can also press your Apple Watch side button twice to verify also. 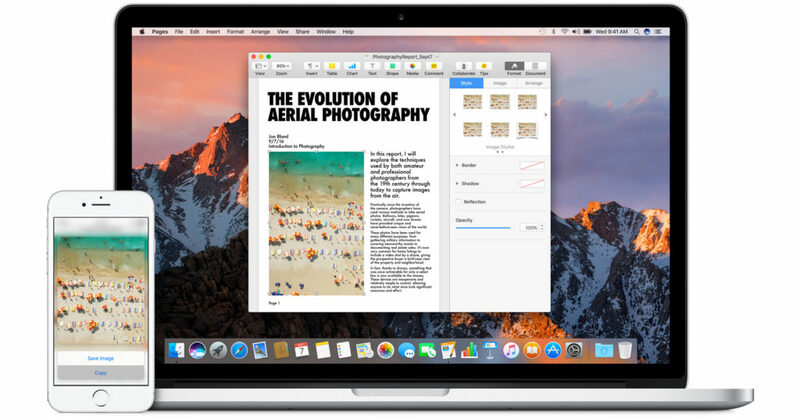 As bloggers we’re sourcing and discovering our content from various devices while we are on the go, so this new feature is very cool, as it makes it easy to copy and paste back and forth between iOS and Mac OS devices. Copy on your iPhone and paste it in your MacBook! This kind of cross platform use is starting to make the whole experience invisible to the user, ending up being second nature in no time leaving us wondering soon what it was like without it! This is a new feature for those of you that own an Apple Watch. 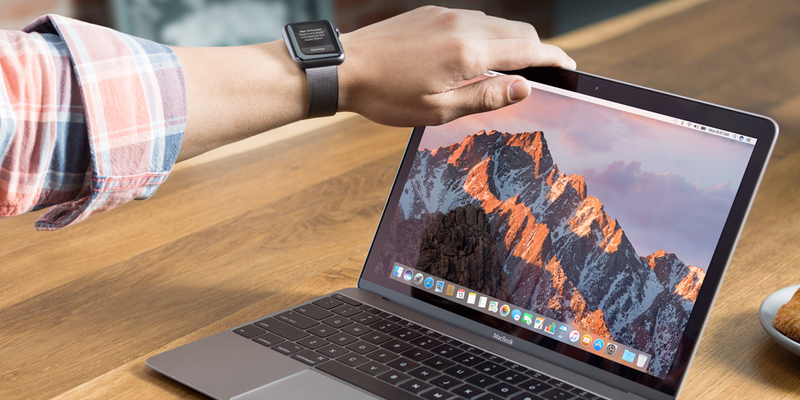 The proximity of you to your Mac will automatically unlock your Mac. This a capable because of time-of-flight networking protocols in place that accurately detect proximity. It’s a shame this doesn’t work with your iPhone but I guess that’s because anyone can take your iPhone towards your Mac to open it. The advantage of it being Apple Watch only is that it is permanently on the user. Mac computers have a great reputation of lasting quite a few years. Most models from 2009/10 seems to be able to run the new operating system. Here’s the final list of Macs that will run Mac OS Sierra. Hope yours is in there! Should you upgrade to Mac OS Sierra? As always, running away with the excitement of the new features is very very tempting. But you need to think about how you use your Mac. If you use it for creative purposes as opposed to office purposes, then I would check with your software and hardware developers first to see if there are any issues with proceeding with the upgrade straight away. Already today I have seen warnings from manufacturers of music hardware and software to hold back on upgrading until they can supply you with updates of the tools that you use. Some have already announced that their software or kit works fine with Sierra. But as a musician myself I have a mix of different products that go into my digital studio, so it may take a month or two for everyone to catch up with checking that their products are fully functional with the new OS. So if you do use multiple tools attached to your Mac, then I would hold back on rushing into upgrading. Make Sure You Back Up Before Proceeding! But if you do decide to upgrade to Mac OS Sierra from today, then make sure you back up your data first with Apple’s Time Machine. At least then if you end up having a serious problem, you can revert back using your backup. And I would also backup all the recent works/projects separately for safe keeping too, I personally don’t want to take a chance here. You could always tell that eventually there would be a blending environments when it came to the two Apple operating systems. It is now closer than ever, mixing the innovative ideas iOS and tablet use has brought to users with the old school desktop techniques used in computer use. I predict now that in a few years this will be just one system and one experience and will not notice how we move move between our computer devices, it will just be instinct.